Starting Jan. 15, B.C. joins five other Canadian provinces in offering the pregnancy termination drug for free. Starting Jan. 15, B.C. will join five other Canadian provinces in offering the pregnancy termination drug Mifegymiso for free. According to a B.C. health ministry press release, universal, no-cost coverage for the drug, which is also known as RU-486, will be available to patients with a valid prescription at pharmacies around the province. 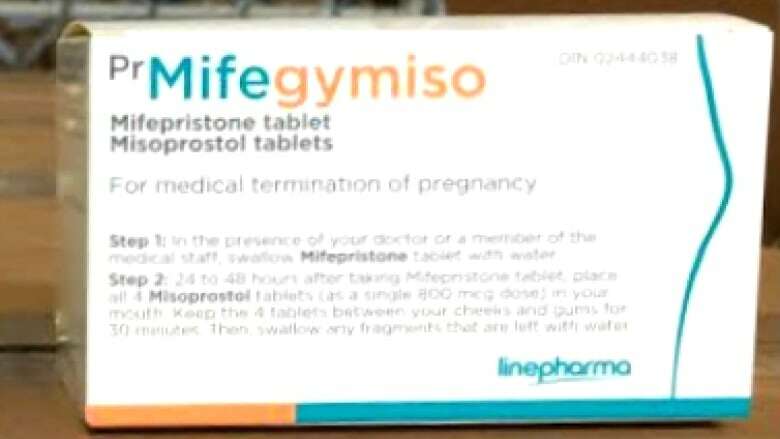 Mifegymiso is an alternative to surgical abortion and can be used to terminate early-stage pregnancies of up to nine weeks. "It's the gold standard in terms of health care for women," said Dawn Fowler, executive director of the Vancouver Island Women's Clinic, which advocated for the change. "It significantly reduces barriers to access for women across the province." The cost of surgical abortions has been covered in B.C. for many years, but medication abortions for women without PharmaCare coverage can cost approximately $300. Additionally, over 90 per cent of surgical abortions take place in high density centres like Vancouver and Victoria, according to Dr. Wendy Norman of the UBC Faculty of Medicine. "It's a game-changer, particularly in B.C. with our geography. Women from all over the province are sometimes travelling many hours to get to a community where they can have a surgical abortion," said Norman. "[Now] your abortion can be done by going to see your usual primary care physician or nurse practitioner in your own community. You don't have to leave your family, your children, your job to travel to a big city to have an abortion anymore." Mifegymiso became available to the Canadian public in January 2017 and is already available free to women in Alberta, Ontario, Quebec, New Brunswick and Nova Scotia. "This medicine has been available for nearly 30 years in more than 60 countries in the world, so we know that it is effective and safe," said Norman. Patients who are prescribed Mifegymiso must first undergo an ultrasound to confirm they do not have an ectopic pregnancy, which occurs outside of the uterus. The medication consists of two different drugs — mifepristone and misoprostol — which are taken up to 48 hour apart. "Shortly after, cramping and bleeding would happen that would be very similar to a miscarriage. Within a day or two that bleeding is usually complete," said Norman. According to the news release, all B.C. pharmacies will be able to order the drug as needed and stock will be available at rural and remote pharmacies, as well as those that have previously dispensed high volumes of the medication. Provincial Health Minister Adrian Dix said increasing the availability of Mifegymiso was the right and prudent thing to do. "This just ensures fairness of access to everyone, wherever they are in B.C.," he said.